We are delighted to announce that just 4 weeks after the launch of our fabulous show home (Tarset Lodge) at Briar Fields, the property has now sold leaving only 4 plots remaining. Our show home open days, which ran every weekend throughout February, were extremely popular and resulted in a further two sales at our Great Whittington scheme. 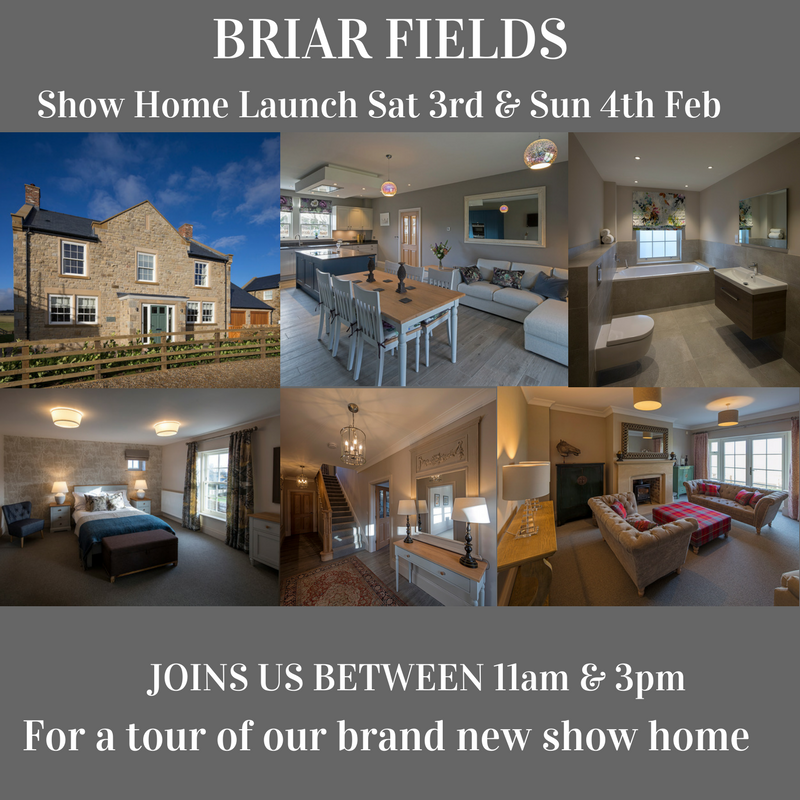 The show home is still currently available for viewing, should you wish to get a taste of life at Briar Fields. 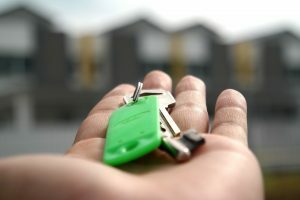 Moving home is renowned for being a stressful time, but with some careful planning there is a lot you can do to reduce the stress and make it a smoother process for everyone involved. There are so many costs to consider when moving house it is well worth taking the time to sit down and create a list of all associated costs so you can budget properly and avoid any nasty surprises further down the line. Do this as early as possible and allow yourself time to get comparative quotes for the various services. Some considerations include: conveyancing, surveying fees, removals, skip hire, stamp duty and estate agency fees. Make sure you use a professional conveyancing solicitor to help you through the legal process of buying a house as efficiently as possible. Try and seek recommendations from friends and family who have recently moved home, as quality and speed of service can vary. It is recommended that you use companies regulated by the Solicitors Regulation Authority or the Council of Licensed Conveyancers to help make the process as stress-free as possible. Buying a house is a big decision and before you sign on the dotted line it’s a good idea to invest in a building survey to get the professional opinion of a Chartered Building Surveyor. Yes, it is another expense, but it could help you identify some costly issues or at the very least, provide you with extra peace of mind. The type of survey required depends on the type of property you are buying – it is always best to take advice from an RICS regulated Chartered Building Surveyor. Given the importance of the task in hand, make sure the company transporting your belongings is professional and experienced. Arrange a pre-move visit to your property so they can assess your requirements and be fully prepared on moving day. A professional removals company will also offer a packing service and whilst this is a bit more expensive it can be a huge help in the lead up to the move, saving you both time and energy. • If you have pets, consider booking them into a kennels/cattery to make the day easier for everyone in the family. • Order a food shop to be delivered on your first morning in your new home. • Subject to budget you may want to book cleaning services of your old and new homes. • Pack overnight bags and put them to one side where they can be easily found – you may want to transport these in your own car. • Prepare a separate, easily accessible box with essentials for the day eg: kettle, tea and coffee, milk, sugar, phone chargers, house documents, contact numbers for utility companies, snacks, toilet roll, pen and scissors. • Label all boxes according to what’s inside and which room they are to be put in. It’s a good idea to stick these labels on both the top and side of the box so you know what’s in them when they’re stacked up. It’s also worth bearing in mind that moving into a new build home is often a lot less stressful than moving into a previously occupied property. As well as the obvious benefit of there being no upper chain, there will also be no hidden surprises when you arrive at the new property, as can so often be the case when former occupants vacate a house. With an Anvil Homes new build property, the moving in process is very smooth from picking up your keys to walking into a clean and modern house with no maintenance issues to worry about and a 10-year LABC warranty to give you peace of mind. 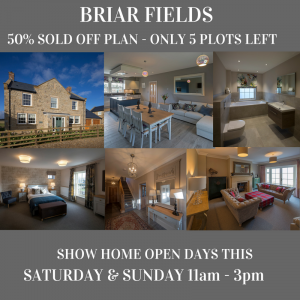 We are delighted to announce that following the successful launch of our show home earlier this month, our Briar Fields development in Great Whittington is now 50% sold. Since commencing work on site last Spring, the first home completed in November and the proud new owners of Lowick Grange (plot 9) were able to enjoy Christmas in their new home. A further four homes (plots 3, 4, 7 & 10) have now also sold off plan, which is testimony to the quality of the development and the popularity of this sought-after location in the heart of the Tyne Valley. Our show home open days have so far attracted a high volume of prospective buyers, leading to further interest in the remaining plots and another reservation. House hunters are urged to come along to our last show home open days of the month, which are this Saturday & Sunday 24th & 25th February between 11am and 3pm. Join us for a glass of fizz and a tour of the fabulous show home, Tarset Lodge. We recommend registering an interest in the remaining plots early, so we can keep you up to date. Northumberland-based Anvil Homes has reached a significant milestone at its Great Whittington housing development in the Tyne Valley. It is no surprise that a host of Northumberland towns are regularly featured in the national press when it comes to naming the best places to live in the UK. One such town, which has been frequently featured in these lists, is Hexham in West Northumberland. Hexham has been the choice of The Guardian, The Sunday Times and Country Life to name a few. The good news is this delightful market town is only 7 miles from our latest luxury residential development, Briar Fields in the idyllic village of Great Whittington. But what is it that makes Hexham & its surrounding villages such a popular location and especially to people living outside of the region? Located within the beautiful Tyne Valley, Hexham lies approximately 22 miles West of Newcastle and one of the key attractions is the ability to commute into Newcastle City Centre in under 30 mins via the A69 dual carriageway. To be able to live in such a beautiful location and make a 22-mile commute to the centre of a major UK city, is as refreshing as it is rare. Don’t forget that the Tyne Valley also has its own rail network which provides regular services to stations at Corbridge, Wylam, Stocksfield and Hexham. Although it is a historic market town with a beautiful 12th Century Abbey and an excellent farmers market, Hexham boasts a great range of amenities including a cinema and leisure centre. With a Waitrose, Tesco, Aldi and M&S, the town has a fantastic range of food shopping options and a choice of pubs and restaurants to match. Such amenities help support a large number of surrounding villages and hamlets within the Tyne Valley including Great Whittington, where you will find Briar Fields, our latest development of 10 new luxury stone homes. With an excellent network of schools, the highly regarded Queen Elizabeth High School in Hexham is the destination for most pupils, although the close proximity to Newcastle does open up numerous other options. Together with access to Northumberland National Park, Hadrian’s Wall and the Lake District, it is difficult to imagine a better place to raise a family in the UK today. It is therefore easy to see why the area is so appealing to those living in the south of the country, where there is more limited access to an affordable work/life balance. Our Briar Fields development is located 4 miles from Matfen Hall Hotel, which boasts its own 27-hole golf course, luxury spa and gym as well as fine dining restaurants. It is also just 6 miles from the village of Corbridge, with a regular bus service so you can explore its fabulous pubs and shops, as well as the very popular Brocksbushes farm shop and café. Following the success of Anvil Homes’ Orchard Gap scheme on Allendale Road in Hexham, the Northumberland-based developer is now underway with its latest Tyne Valley scheme, which is proving to be just as popular. The new Briar Fields development comprises of 10 detached high specification homes in the village of Great Whittington. The first home is due to complete in October and the house builder has announced that this has already been sold. The scheme follows Anvil Homes’ extremely well received Orchard Gap development, which was 80% sold prior to completion, enabling purchasers to customise the internal finishes to meet their own requirements. Located in Hexham’s conservation area the scheme was shortlisted for both the LABC bricks award 2016 for quality standards and the LABC Northern region best small development 2017. Anvil Homes is a family run business, which has been established since 1993 and specialises in bespoke rural residential developments. The firm has built a fine reputation for providing distinctive homes for discerning purchasers with the emphasis on highest quality. Alistair Carr, director at Anvil Homes said: “For our Briar Fields development we have designed ten very outwardly traditional Northumbrian homes, which are all double fronted and stone built with timber sash windows to blend sympathetically with the rural surroundings. The firm has appointed Youngs RPS as selling agents on the scheme. 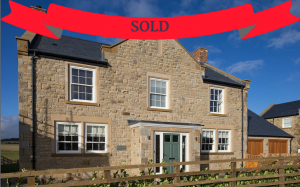 Kim Harrison, sales manager at Youngs RPS’ Hexham office said: “We have experienced a strong level of interest in Briar Fields and we have already started taking reservations. We know that Anvil Homes’ developments generally sell off plan so we recommend that interested parties register with us sooner rather than later. Northumberland-based Anvil Homes has started on site with the development of its new residential scheme in the village of Great Whittington in the Tyne Valley. Briar Fields will provide ten individually designed four bedroomed detached family homes, the first of which will be completed in October of this year. 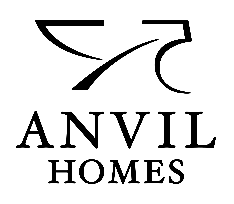 Anvil Homes is a family run business, which has been established since 1993 and specialises in bespoke rural residential developments. The company has won multiple awards for its schemes including Slaley Village and Orchard Gap in Hexham. The firm uses the same pool of local sub-contractors and tradesmen for all of its developments and says the Briar Fields scheme will support 20 jobs during its 18 month construction. Great Whittington lies seven miles North East of Hexham and the developer believes the site’s accessibility to the market town will make it a popular choice for families. Planning permission was granted by Northumberland County Council last summer for the Briar Fields development on land at Hill House Close on the north western side of Great Whittington village. The firm has appointed Youngs RPS as selling agents on the scheme. Briar Fields is due to be fully complete in Autumn 2018.